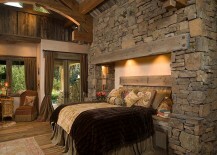 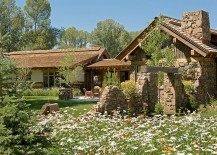 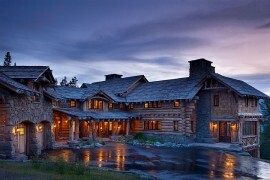 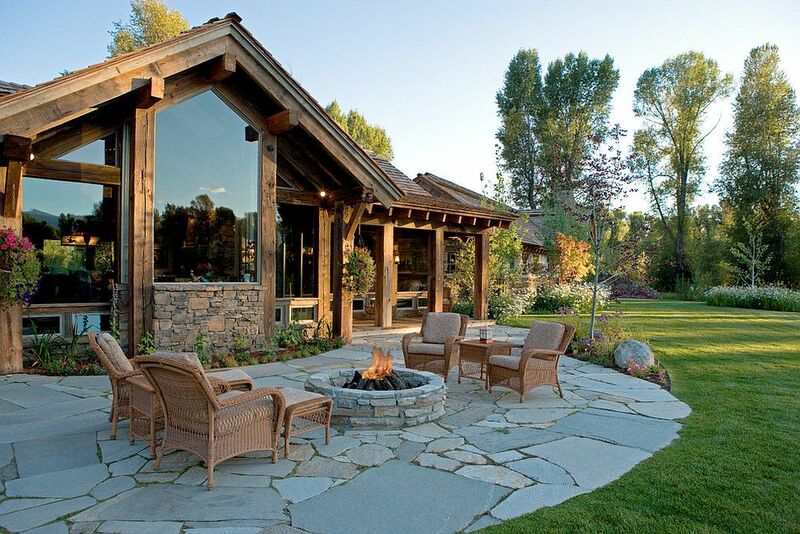 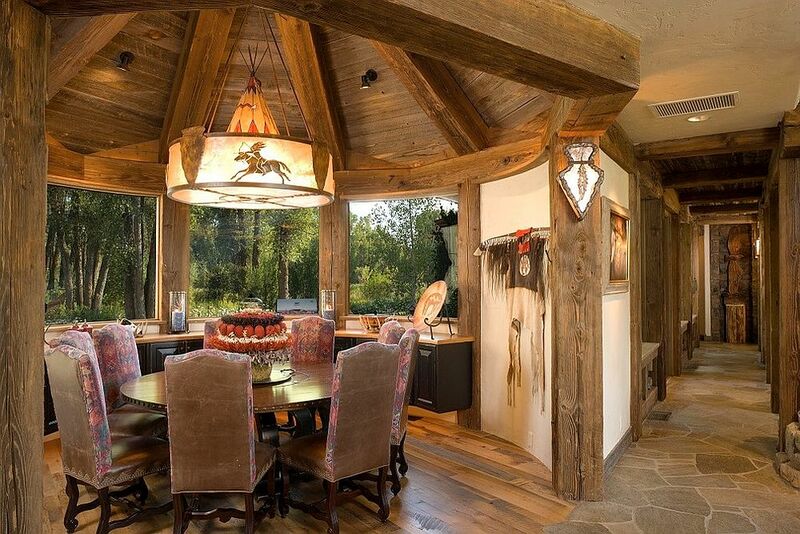 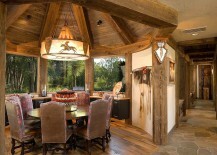 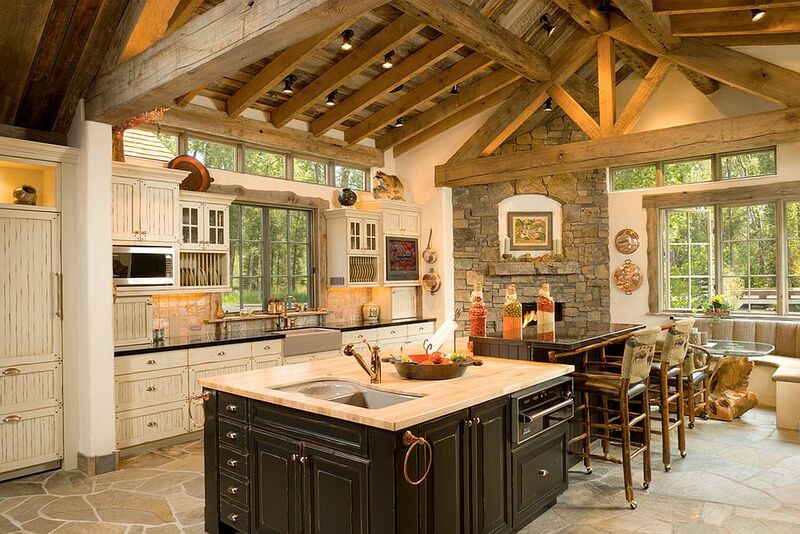 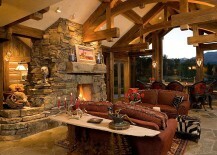 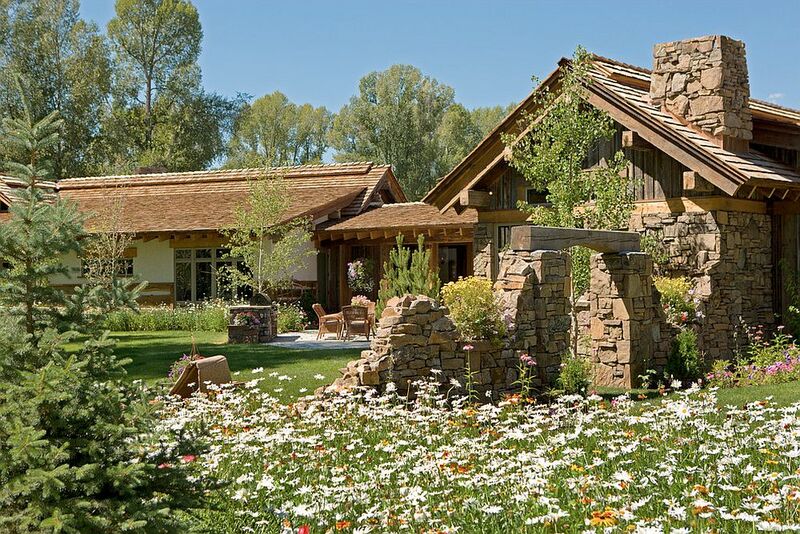 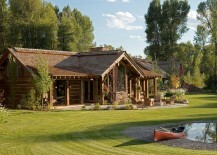 Rustic Wyoming Lifestyle Comes Alive in All Its Splendor! 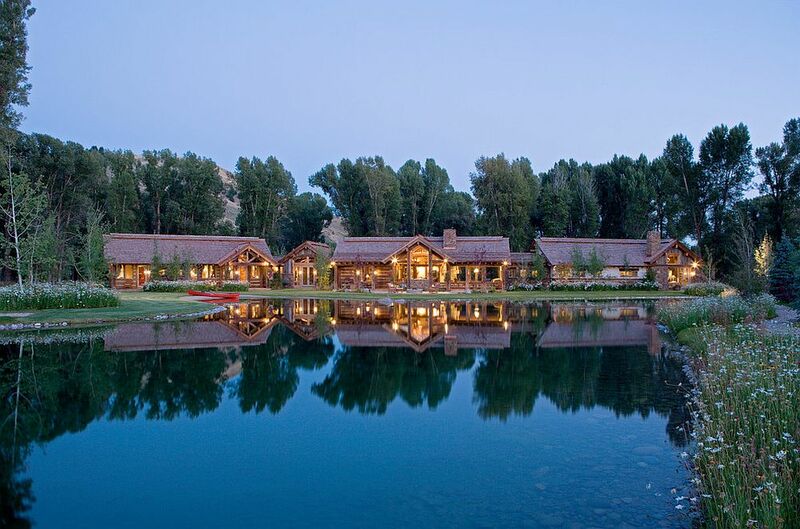 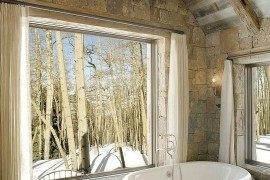 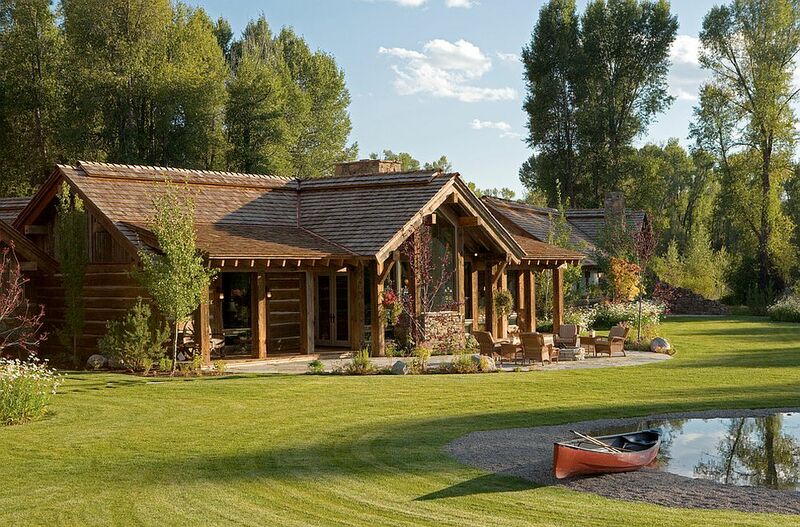 Connecting with nature is definitely the theme at this picturesque getaway nestled in the lovely town of Jackson, Wyoming. 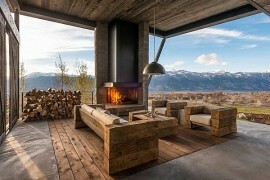 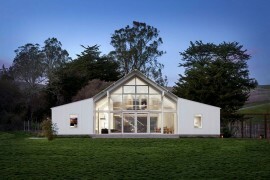 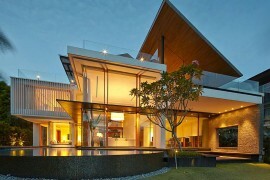 Designed by Hoyt – CTA Architects to reflect the rustic lifestyle of the region and the spectacular landscape that surrounds the lot, it is the outdoors that quickly ends up becoming the showstopper at this awesome holiday home. 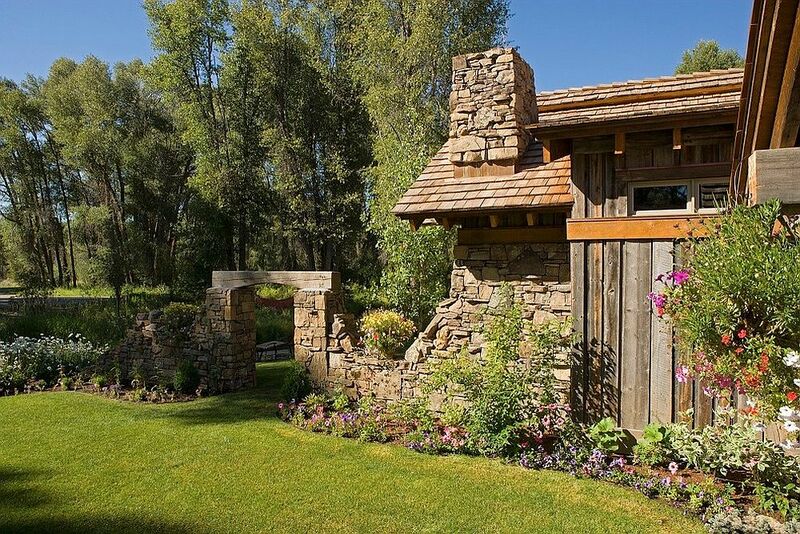 But the rustic structure and its cozy interiors match the splendor outside and transport you into a world that is far away from the constant rush and concrete glitter of more mundane city life. Timber and stone become the two defining elements of the serene home both on the outside and inside, with décor that perfectly complements the rustic vibe blending into the backdrop. 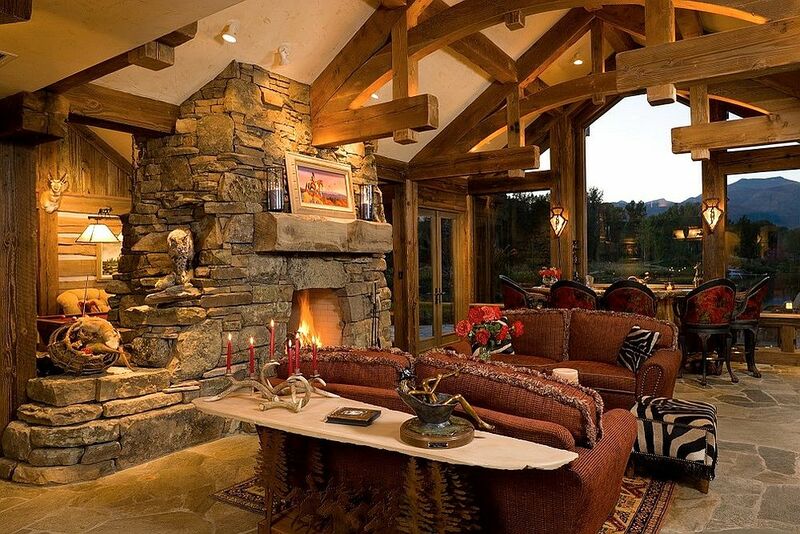 Comfort is combined with aesthetics seamlessly at every turn, with features such as the stone fireplaces in living area, bedroom, bathrooms and even the patio; exposed timber beams; and fabulous lighting creating an inviting ambiance. 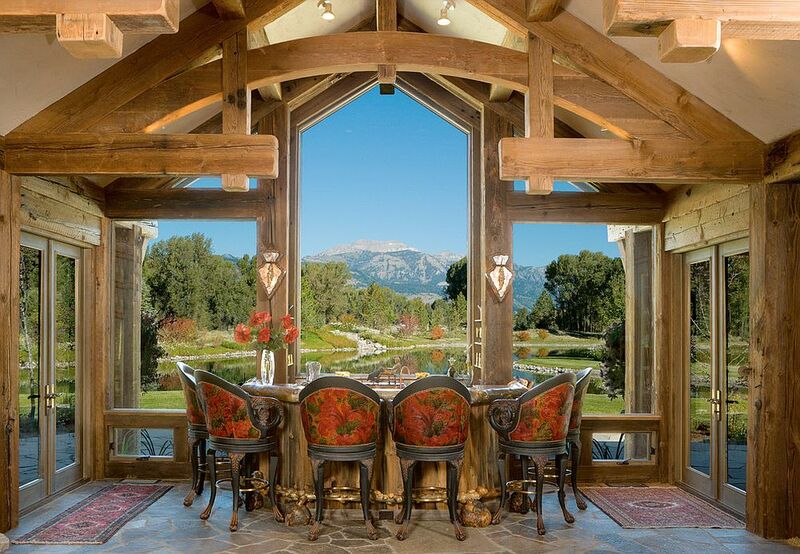 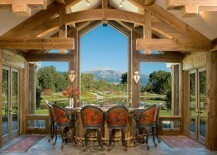 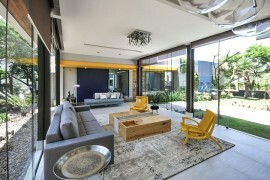 Masterfully framed views become a part of the home’s narrative at every turn, and one stays constantly connected with the majestic peaks, creek and dreamy walkways outside. 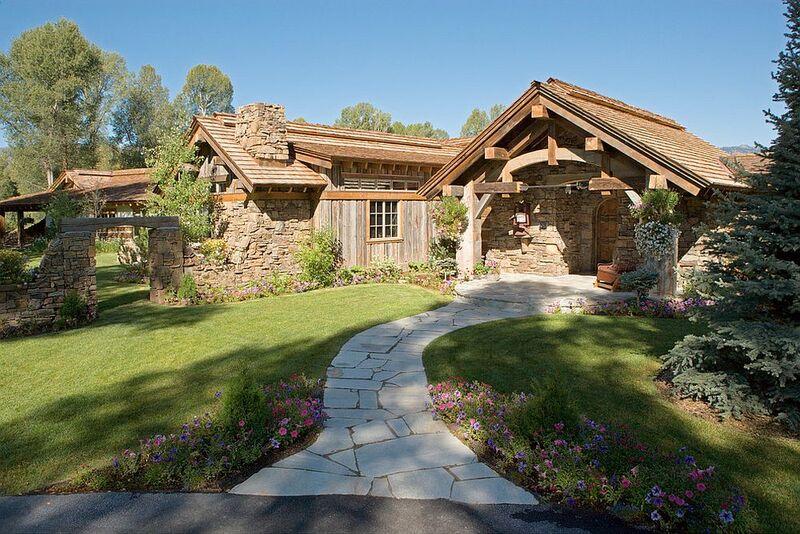 Stunning, soothing and offering a window into the sensational, this is a vacation home that promises the very best of Jackson’s rustic grandeur!